It’s a common misconception that diet soda is healthier than regular soda – but the reality is that it may actually be worse for your health. While a lot of research on diet soda is still in the preliminary stages, there’s significant evidence that giving it up for good can be great for your health on multiple levels. If you drink a lot of the stuff, you may be worried about caffeine withdrawal when you go off diet soda. But as it turns out, what you may actually find is that you get fewer headaches, not more – you may also notice improved focus and mood. According to a 2014 study, aspartame – which is contained in most diet sodas – is associated with irritability, depression, and poor cognitive functioning(1). If diet soda has less calories, it must be fine to consume it in larger quantities than the regular stuff, right? Wrong – at least according to one 2010 study, which found that artificial sweeteners like the kind found in diet soda actually increase sugar cravings, causing people to consume more sweet foods and ultimately gain more weight than they would have if they’d just stuck with the regular stuff(2). With fewer sugar cravings, you’ll find it easier to manage your impulse to snack – which ultimately helps more with weight management than constantly indulging in “low calorie” sweet foods and drinks. It’s a little-known fact about diet sodas: they get you drunk faster than the regular kind. Diet soda empties your stomach quickly, which increases the rate of alcohol absorption when compared with non-diet sodas(3). While this may be good news for college students who want to get wasted as quickly as possible, for the rest of us it’s not such a good thing. Mixing your cocktails with non-diet sodas will help increase your alcohol tolerance. “Soda consumption has been associated with poor bone health in children,” one 2014 study reports, “but few studies have examined this relation in adults.”(4). 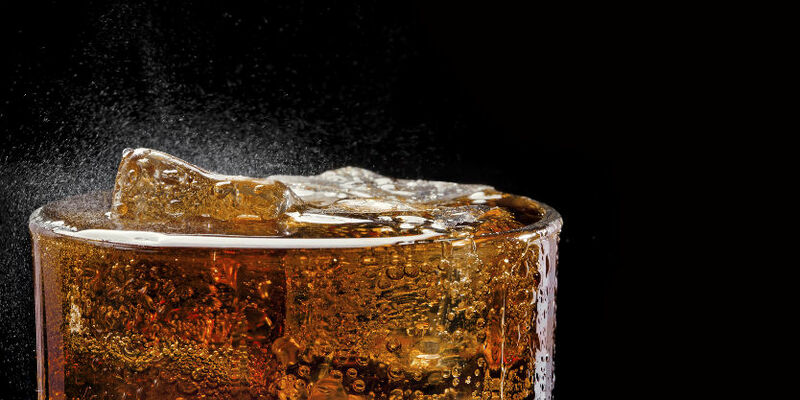 As it turns out, soda – including diet soda – increases the risk of hip fractures in postmenopausal women. To keep your bones as healthy and strong as possible, it’s a good idea to give up not only diet soda, but all carbonated, sugary beverages as well. The artificial sweeteners in diet soda can not only overwhelm your tastebuds, making food taste less complex and delicious, but they can also have a negative impact on the sweetness receptors in your brain(5). When you give up diet soda, you may find that you enjoy the taste of food more now that you’re not flooding your tastebuds and brain with the saccharine sensation of artificial sweeteners. Artificial sweeteners are strongly associated with kidney function decline, especially in women(6). However, sugar-sweetened soda is not – meaning regular soda is better for your kidneys. That’s a big deal – your kidney function is vitally important to your overall health. Since it doesn’t contain sugar, diet soda must be better for those at risk for developing type 2 diabetes, right? Wrong, according to several recent studies – “At least daily consumption of diet soda was associated with a 36% greater relative risk of incident metabolic syndrome and a 67% greater relative risk of incident type 2 diabetes,” one reports(7). There is significant controversy in the scientific community over whether or not artificial sweeteners are safe, and what quantities they’re safe to consume in. “Besides its benefits, animal studies have convincingly proven that artificial sweeteners cause weight gain, brain tumors, bladder cancer and many other health hazards,” writes Kirtida R. Tandel in the Journal of Pharmacology and Pharmacotherapeutics(8). Aspartame, saccharine, sucralose and other artificial sweeteners all come loaded with their own health risks and possible allergic responses. The message is clear: it’s time to stop drinking diet sodas.